After several hours of working in the yard this weekend with 90+° heat, I was feeling depleted and wanted something really replenishing to drink. A quick inventory of the contents in my fridge and freezer revealed the ingredients listed below, which I used to whip up this oh-so-yummy smoothie packed with Vitamin C and Potassium. The flavor is on the tangy side, so if your taste buds prefer something less so, add agave nectar or cane sugar to sweeten it up. 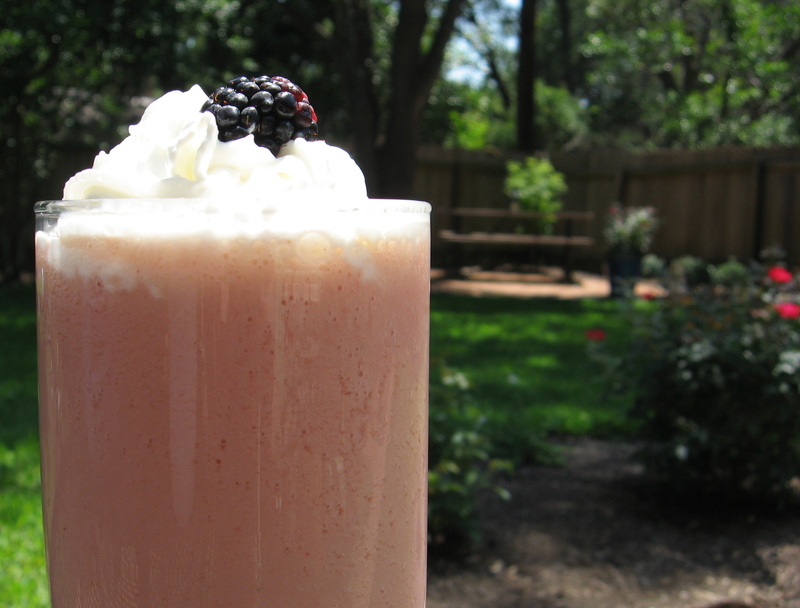 A dollop of whipping cream will make this smoothie sweet and creamy. Hubby downed the one in this pic in seconds. I went with no added sweetener, as I like my smoothies slightly tart.